The Panama Jazz Band really knows how to get your event swinging. 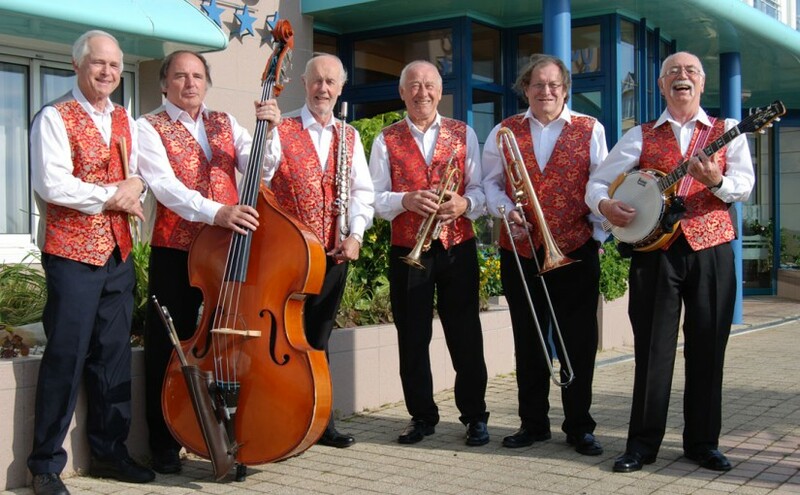 We have played at numerous sporting events, social clubs, anniversaries weddings and fetes as well as jazz clubs and local jazz pubs. and with so much experience and diversity between us, we always know what is needed to make your event a success. This is a lively and fun band which seriously knows how to play the music we all love. Fancy something a bit more special? Twice a year we go abroad, to Northern Spain or Brittany, or sometimes even Portugal or Germany accompanied by one or two coachloads of jazz fans for a short holiday break with jazz every evening and sightseeing during the day. Contact www.wessexcontinental.co.uk .